The RAVAS-1100 checks weights at goods reception or when filling out transport documents. Weights are shown in 1kg steps. The RAVAS-1100 is also available with the options thermal printer and multirange display graduation: 0.5/1.0 kg. 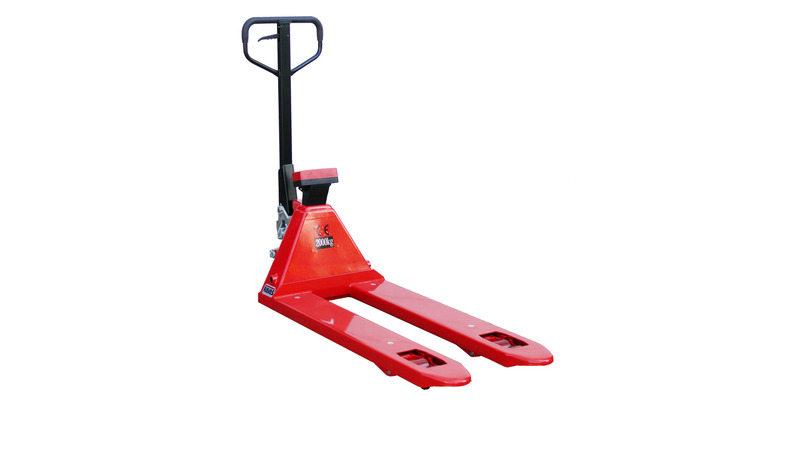 Thanks to the robust chassis and the power supply by four standard AA-batteries, this pallet truck scale combines an attractive price level with a reasonable accuracy. The display is able to show both gross and net weights. For checking incoming goods, avoiding overloads and determining shipping weights.